Re-enactors staged a key battle of the Hungarian revolution in a field in Tapiobicske, 70 kilometres outside Budapest. This time around, however, the ammunition was fake and a small audience cheered from the sidelines. 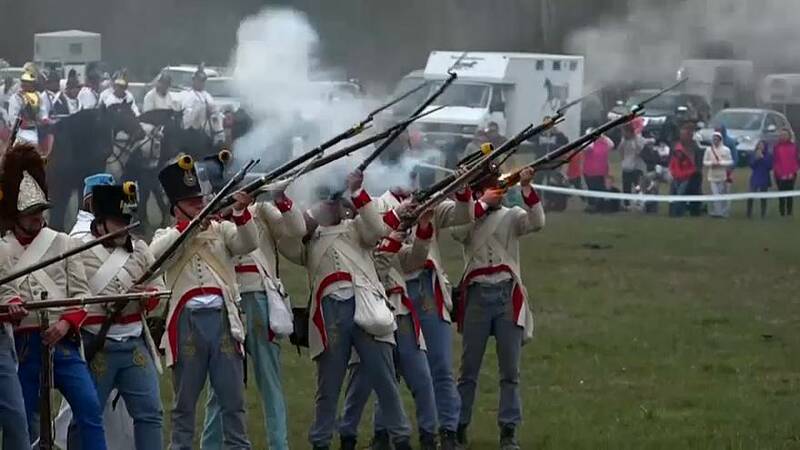 The re-enactment, which took place on April 4, is an annual event to commemorate the fight against the Hapsburg forces for independence from the Austrian Empire. Tibor Toth, a Hungarian re-enactor lance-corporal, explains once the battle is over a wreath is laid in remembrance. "We only have one uniform, we wear it both while placing a wreath and to battle, so... we look really dirty when we go to place the wreath. [But] this is the point of being a re-enactor: those who just keep their uniforms nice and tidy, they are not re-enactors. They are toy soldiers only capable of laying the wreath." The spring campaign of 1849 is a highlight of the re-enaction calendar, and the Battle of Tapiobicske, which ended in Hungarian victory, has been reconstructed for the last 31 years. However, the victory was short-lived. The Austrian Empire came close to the brink of collapse but sought help from Russian allies, and in October 1849, the revolution was brought down to its knees and the Hapsburgs maintained their reign. Weapons and uniforms are accurate remakes, complying with the era's military handbooks, and re-enactors invest a significant amount to keep the tradition alive – the full uniform including boots, sabre, sabretache, hat and accessories, costs around €2,500. But even at that cost, military re-enacting is a popular pastime in Hungary, with almost 100 clubs around the country.